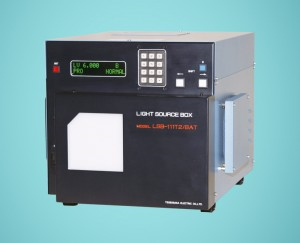 Multi-point luminance light source makes luminance feedback, and its color temperature can be changed. You can change color temperature by electric. Ten key and external communication control make it possible that fine luminance choice and luminance change at designated pace. Change of the inspection sequence is easy by 99 points of luminance and memory block for color temperature designation. Control indicator and light source unit combined depending on a work layout.